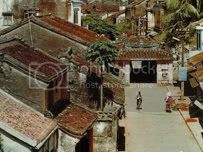 29 January 2007 (Thanh Nien News) – Remains of an ancient town found underneath the Hoi An Town (a World Heritage Site by itself) will be preserved and studied by archaeologists from Vietnam and Japan. The Quang Nam provincial administration is chalking out plans to conserve an ancient town and relics dating back to about four centuries ago recently unearthed in the area. It said a special museum would be built to research, preserve and promote tourism visits to the ancient town, discovered 2 meters below the earth of the now Hoi An town. Archeologists from the Hanoi National University and Japanâ€™s Showa Women’s University immediately asked authorities concerned to halt the construction work so that they could begin excavating the site. The ensuing search found thousands of pieces of glazed terra cotta and porcelain as well as eleven coins of Chinese, Vietnamese, and Japanese origins at the archaeological site.